The car has oil leaks in turbo area. I started to change some hoses. Nothing can be done to improve the situation? From what I read, it's hard to get a phase 1 turbo without oil leaks in turbo area. "A turbocharger cooled only by engine oil led to short component life and turbo-related seal and seat problems. 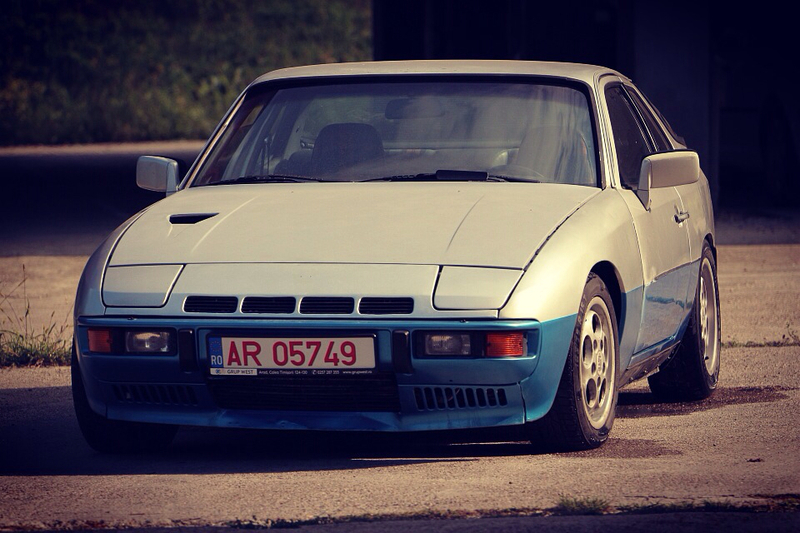 To fix the problems, Porsche released a revised 924 Turbo Series 2 (although badging still read "924 turbo") in 1979. By using a smaller turbocharger running at increased boost, slightly higher compression of 8:1 and an improved fuel injection system with DITC ignition triggered by the flywheel, reliability improved and power rose to 177 hp (132 kW; 179 PS). " I did the later while the car was with me. It leaked a couple of drops every few days...that was ok for me. 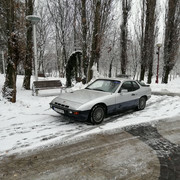 I'm curious because neither the former car (924 NA) had. Maybe I can find useful information in it. The s2 have an improved breather system, you can read about it in the TB folder ammong the documents I sent you in a PM. The TB gos through how to retrofit it on S1 cars, my s1 engine had it. 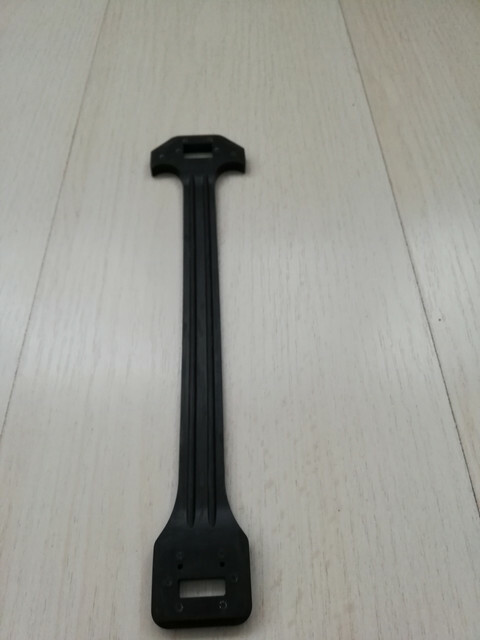 It was probably developed to increase the draining and reducing the back pressure on the oil draining system from the turbo, and thus most likely increase the turbo life expectancy. The later cars also have an improved exhaust manifold, turbine housings and improved seals on the hot sides to deal with heat issues, but many s1 cars have been uppdated during their lifetime. So its not clear which car have what system today. 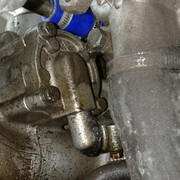 Im not sure where your turbo is leaking, but it should be fixable, theres only so many places where oil can come from. 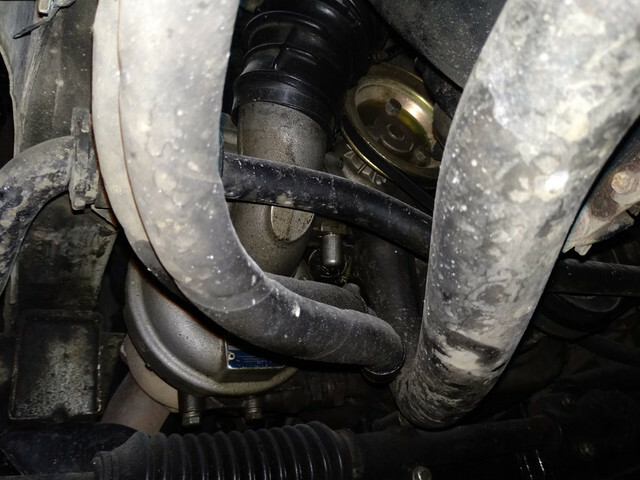 Change the O rings on the oil inlet (a b**** to replace) and outlet to strart with. If you are unlycky like me the return line to the sump started cracking, and thus dripping oil. 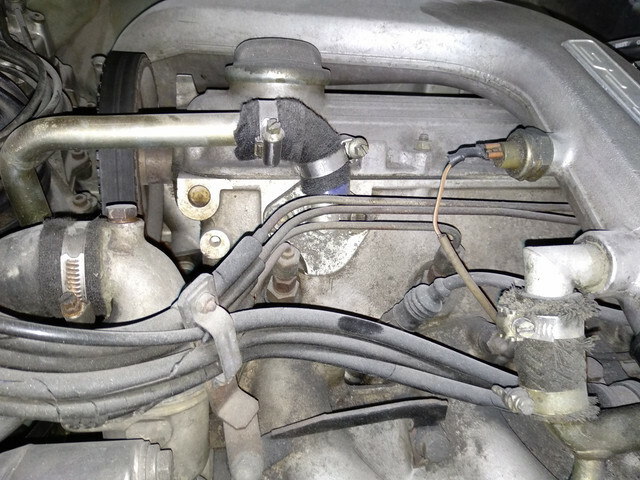 I replaced the o-rings last year when i refurbished the turbo...so the o-rings should be ok..but that whole area became greasy, i suspect that the venting line that goes on top of the turbo is the fault for the oil leaks, i was never able to make that one stop leaking. the venting line that goes on top of the turbo is the fault for the oil leaks, i was never able to make that one stop leaking. After that, I noticed leaks to the rubber hose at the bottom of the pipe (venting line). Unfortunately at the bottom there is a second rubber hose at 90 degrees (leaking a lot). 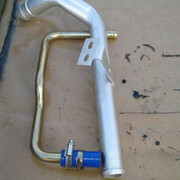 I ordered it and I want to change it when I change the distribution and water pump. 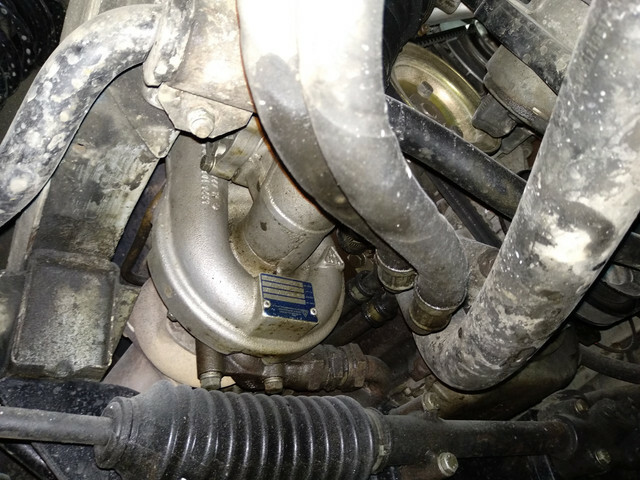 Thats pop-off valve line coming from the intake. 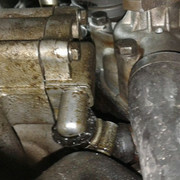 There is so much oil in the intake because the crank venting system is not sufficient for the S1. 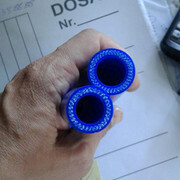 The s2 have an improved breather system, you can read about it in the TB folder ammong the documents I sent you in a PM. The TB gos through how to retrofit it on S1 cars, my s1 engine had it. What's the exact file name to study it (from TB folder)? I downloaded everything. There are more than 20 files in it. Ref to oil leak fix: 2 are solved. After I change the last rubber hose, I want to clean turbo area very well to isolate the problem (if there is one after the replacement). I think it would be good to take some pictures too. Maybe I already have "improved breather system". I could not take pictures under the car because I did not have the car in my garage. At first glance, much less oil was poured (80% less than before). Just a few drops. Vent duct is leak free (with new rubber hose up and down). I have never cleaned the turbo area ever. 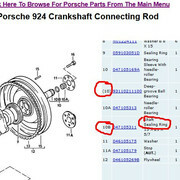 I am preparing to change clutch release bearing 93111608204. I spoke to someone who recommended me to change the engine bearing and oil seal. 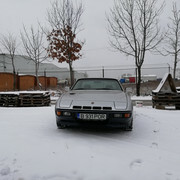 (owner of Porsche 944 turbo). 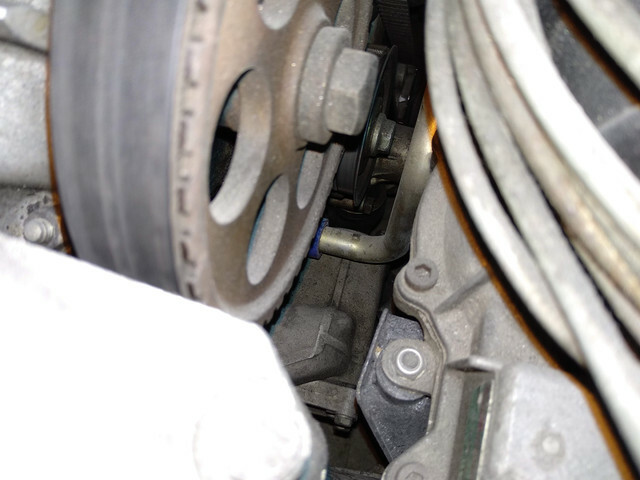 Are you sure it's you shouldn't change all clutch components? Because it's a pain to get everything apart. I wouldn't do it without changing the rest of the stuff while I'm there. You. Will not want to risk doing it again. The pilot bearing can be bought separately and can be changed. I would change the rear seal as you got recommended. Check around for prices, they can be quite expensive for a simple deal. The clutch disk has been changed recently. Bearing rattle a lot. (remained the old one when the disk was changed). That's what I thought: change everything that has remained unchanged. Even if they are relatively inexpensive (93110211100/047105311) they are not on stock in Romania (to be brought from abroad). But at least I know I have to order them (I was not sure). 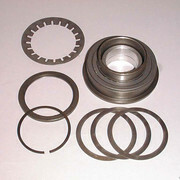 The pilot bearing can be bought separately and can be changed.